Implementation: How to get started with Knowify… and succeed! Maybe you’ve already decided to move forward with a business management package like Knowify. Maybe you’re just starting to think about it. In either case, you should be aware that implementing powerful, fully-integrated software packages is no small task. Please: go in eyes-wide-open. Knowify will transform your business for the better, but it does require an investment from you and your team – not typically in terms of monetary outlay (which is small), but rather in terms of time and a commitment to change old, stale business processes. If you’re ready to make the change though, and to embrace more streamlined, automated, and modern ways of running a contracting business… then read on! Project Costing and Tracking – Two Things That Belong Together! Business people who work consistently on fixed-priced contracts learn early on that the profitability of their business depends on two things: the quality of their job costing analyses and their project management/execution. Surely Microsoft helped many businesses – and saved many an envelope – when it introduced Excel in 1985. But this is 2018 business, not 1985, and using Excel to cost out your projects and run them is going to put you at a disadvantage vs. competitors that are using modern technology. While Excel can do a fine job calculating your cost estimate from your line-by-line manual entries, it will in no way help you translate your estimate to actual real-world activity, nor will it give you any insights (absent further manual entries from you) into how you’re performing on your project. Worse, as we all know, everything in Excel is subject to human error: accidentally messing up a formula or misentering even a single field could cost yourself thousands. Enter Knowify project management. We bring job costing and project management together in a simple yet incredibly powerful way to ensure that you can produce a precise job cost estimate AND track, on a continuously updated basis, your performance against your targets. Lucky for us over at Knowify, we get to stay indoors in a cool, air conditioned space. We know, however, that many tradesmen this summer will be performing strenuous work in blazing heat. As the temperature rises, so does the risk for injuries outdoors. Not only is it important to be able to identify heat-related illnesses, but acting quickly in response to important signals can save lives. When the temperature exceeds 90 degrees, make sure to drink at least 1 gallon of water per day. This equates to a quick water break every 15-20 minutes, especially from mid-morning to mid-afternoon when the sun is the strongest. Weakness, increased sweating, clammy skin, nausea or vomiting, and fainting are the most common signs of heat exhaustion. In this case the worker should move to a shaded area, lie down, and sip water. Additionally, wet cloths can be applied directly onto skin to cool down the body. High body temperature (103F), hot red skin, an erratic and strong pulse, or possible unconsciousness are signals of Heat Stroke and 911 should be called immediately. 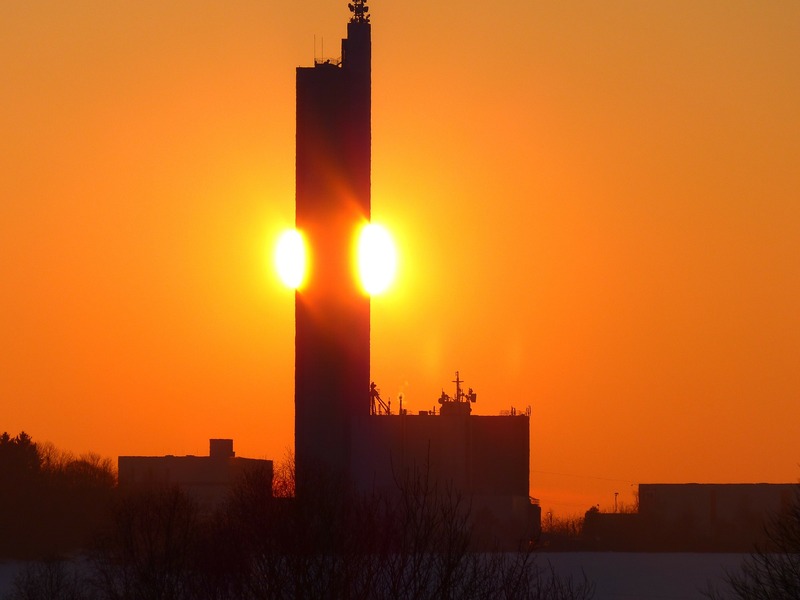 As many of us learned in grade school (or simply from going out in the sun dressed in all black), wearing dark clothing can amplify the sun’s effects. For this reason, it is important to dress in light-colored clothes and wear a hat in order to reduce direct sun exposure. Make sure to acclimate workers to the conditions by gradually increasing their workload, especially for new employees. This allows for their bodies to adjust, and is much less likely to be a shock to their system. Assure workers that safety matters to you by addressing any concerns promptly and appropriately. The more open communication you convey, the more comfortable your workers will feel. Afraid to try new business management technologies? You may be putting yourself at a competitive disadvantage. According to a recent report from McKinsey & Company job automation is only going to increase. Whether you like it or not. Unless you are the kind of guy to avoid electric drills and only use a manual screwdriver, it may be time for you to look into the powerful solutions available to you to help you run your business. Automating some of your time-intensive administrative functions is a logical first step. According to AccountingWeb Contributor Morton Brogger, CEO of Huddle, the McKinsey report finds that up to 45 percent of activities individuals are paid to do now, representing nearly $2 trillion in annual wages, can be automated, just by adapting technology that already exists. Imagine that. What does tech automation mean for your accountant? Your accountant will spend less time actually crunching your numbers. Many already are running the information you give them through various software systems to give you the information you need to make strategic business decisions. But how are you giving them that data? What does tech automation mean for you? Smarter business operations. If you’re still running your business on white boards and Post-its and spreadsheets, you’re likely losing ground and losing money. Your competitors are going digital — both in their back office and in the field. What if you could enter a customer’s job specs right from the job to your estimator? What if your estimator could call up all the necessary data and compile a client-ready bid in 24 hours…or less and send it out for client review and signature? And then a few clicks later, bam! : out go your materials POs. Surely you’ve got a computer, or a laptop, or a tablet, and hopefully a smartphone. So you’re already operating in at least the early 21st Century. Now is the time to make all those instruments work harder for you. Automation is not going to replace your laborers (see the McKinsey chart). It might, however, streamline the functioning of your back office (even if that back office is you!). Someone needs to lay the tile; install the drywall, shingle the roof. But how you sell the work, bid those jobs, buy materials and assign teams to the field…that’s going to change for you if it hasn’t already. If you’re running an accounting package like QuickBooks, you are halfway there. You’re already tracking bank balances online, maybe even doing direct deposit for your teams, and writing checks. You may, at the end of the year, even be sending a copy of your financials via email to your accountant, or even giving them remote access to your computer. Invest in the right technology — whether you are an accountant or a contractor. You’ve already got the basics — the hardware, and likely some of the software. Technology (the right technology) can deliver enhanced cost-efficiencies — accurate AIA bids, faster standard bids, better management of estimates, jobs, worker assignments, purchasing, client management, and productivity to ensure your projects stay on schedule and on budget. Imagine, running your business efficiently, cost-effectively, and profitably. Imagine how happy your accountant will be when your business/project management system syncs so easily with your accounting package. Win. Win. Win! So how do you get there? Do your research. Knowify, for one, can help. We’re already helping contractors and their advisors/accountants integrate their business management needs with their accounting systems from an easy-to-use interface accessible from any device — in the field and in the office. If you have any questions or wish to share your feedback, you can find us at support@knowify.com. How much time is your team wasting in the field? A recent blog by Al Levi in Plumbing Perspective asked what contractors could do to stop timewasters from eating into a company’s profitability? Levi’s response was to take the time to invest in sound management practices. Work with your people rather than spy on your people. We agree. Like us, he advocated engaging management. Rather than training cameras on your teams, inside the office and out, pay attention to your people. People, wrote Levi, “actually like when you pay attention,” so long as it’s not just to criticize or complain. Levi recommended encouraging interaction between managers and their direct reports. It’s not to spy, but to be in touch with what’s going on, “lending support when necessary, seeing how time is being spent, and trying to catch them doing something good and making a big deal about it.” Creating a positive environment. We agree again! Levi advocates treating your people like grownups. We say, go a step further and give your grownups the right grown up tools. He cited an example of employees loading up for a job early, and then moving up the block to the coffee shop rather than heading straight to the jobsite. He said, I could have run down the block screaming, “Hey! I’m watching you. Why aren’t you working?” But instead, he gave them the opportunity to manage their own schedule, saying: “You can stop for coffee…but you need to be at the jobsite or first service call within 30 minutes of the start of the day.” That way, he said, they managed their time so long as they called in their arrival within the correct timeframe. We say, don’t call…click! Being profitable is all about having the right people, the right tools, the right materials, in the right place, at the right time. Right? Rather than make your teams call in, use the right technology. Replace the whiteboard: create and maintain your schedules in online and accessible from any smart device so that everyone can see what needs to be worked on while they are in the field. And as your teams deliver materials or work on work orders, they can punch in time and reimbursements right from the field. Knowify, for one, makes it possible via our mobile app. As your people put in time, Knowify tracks how you are performing (and profiting) on each job compared to your budgets and estimated costs. So what can you do to help your business from going down the tubes due to time-wasters in the office and in the field? Be a good boss, of course. Hire great manager, of course. Motivate workers…it goes without saying. As the contracting business evolves in all sectors, those who survive and thrive are contractors who pay attention to running their businesses…who monitor jobs and profitability…who keep the lines of communication open between their GCs, subs, field teams, and clients. You still need to have the processes and procedures in place to run your business. If you have any questions or wish to share your feedback, you can find us at support@knowify.com. Ask us about how we’ve helped other contractors like you get a handle on their business . Or…you could keep running your business on Excel spreadsheets. Knowify. Built for the real contracting world. But what does that mean for you and your business? If you’re a residential contractor or commercial/residential subcontractor, probably not much…now. But soon. Because, as the article points out, one of the big questions for the building trades will be how functional components like plumbing, heating, HVAC, and electrical systems will be integrated into the 3D printing ecosystem. …For HVAC folks, the article posits that a robot sprayer would create the housing for the HVAC systems that would then be installed by real people in the trades. For plumbers, it is possible that the 3D Contour Crafting process could build utility conduits inside the walls making plumbing automation a reality. Hmmmm. 3D printing could develop a modular approach to automate communication line wiring that could be robotically fed and connected. But let’s not stop there. Sensors and other devices can be implanted into 3D printed walls. Insulation and finish work (get ready plastering professionals) could be executed through specially-designed Contour Crafting nozzles. A painting mechanism would “paint” each wall like an inkjet printer, printing wall paper or other patterns directly onto the target surface. Even tiling could be automated. Cheap robotics or low-cost 3D construction printing are meaningless to a business managed on Excel spreadsheets. Firing people and hiring robots alone will not make you profitable. You still have to cost jobs, allocate resources, track purchasing and…bill in a timely manner. Ask me about how we’ve helped other contractors like you get a handle on their business. Or…you could keep running your business on Excel spreadsheets. What does the recent stock market volatility mean for construction spending? 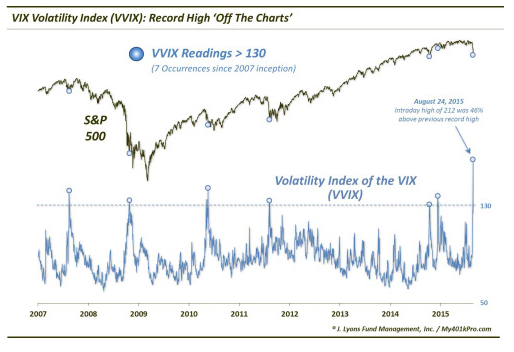 If you’ve been looking at the recent volatility in the stock market – which has been all over the news – you might worry that tough times are on the horizon. Cyclicality is one of the hallmarks of the construction business. If you’ve been around a while, you know that keeping an eye out for coming slowdowns is an important part of maintaining a healthy, and profitable business. So…does the drop in the S&P500 mean that the US economy (and the construction business) is about to follow suit? It’s always hard to predict anything with certainty about the US macro-economy, but the data points that have the strongest connection to future construction activity say that it’s not quite time to worry (yet). Big institutional US investors are increasingly turning to “safer” cash flow yielding domestic assets like commercial property to protect their clients from the risk we’re seeing in global equity markets. What does that mean for contractors? Could be good news. As long as interest rates stay where they are, and financing remains available, construction activity will have a tailwind behind it. Low interest rates increase property values, make HELOC-funded renovations more affordable, and income-yielding investments like rental properties and commercial buildings more attractive. If interest rates begin to rise, this tailwind could swiftly turn into a headwind. Be prepared. Be efficient. Be profitable. So, don’t freeze like a deer in the headlights. Regardless of what happens in the market, those who survive and thrive during times of turmoil are the contractors who pay attention to running their businesses…who monitor jobs and profitability…Who keep the lines of communication open between their GCs, subs, and clients. Information is power. During an uptick or a downturn, make sure you have the processes and procedures in place to run your business. If you have any questions or wish to share your feedback, you can find us at support@knowify.com. Ask me about how we’ve helped other contractors like you get a handle on their business Bull Market or Bear Market. Or…you could keep running your business on Excel spreadsheets. 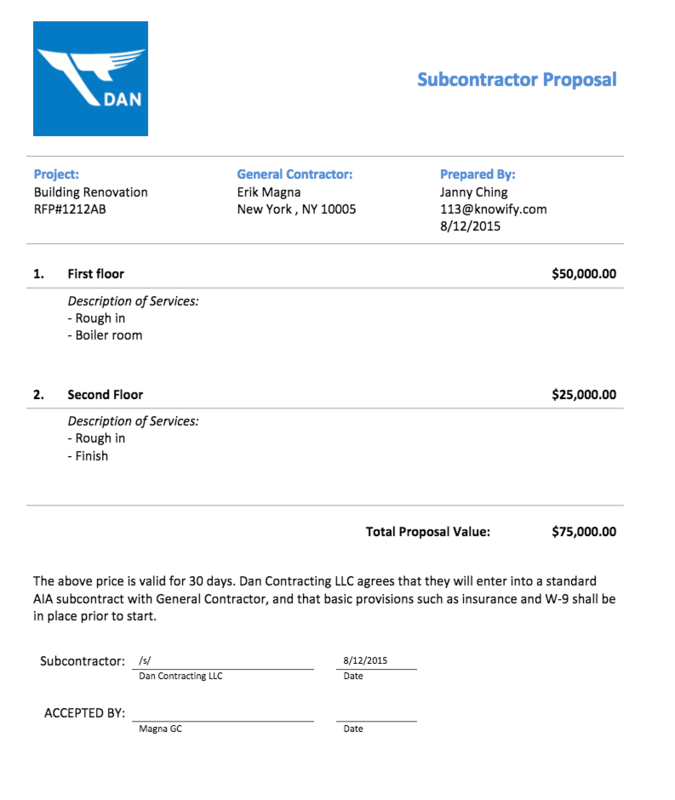 A General Contractor invites you to bid on a job. Now what? How do you cost out the work and submit it within the confines of that GC’s specifications? And what do you have to do once you win the bid to actually manage the project? Is your first instinct to turn to your trusty spreadsheet and calculator? Lots of contractors run their bid/submit/PO processes that way. QuickBooks® and Excel are great tools, but they can only take you so far. What if you could manage all of the painful administrative work associated with your contract jobs faster and more accurately? With Knowify, you click on Contract Jobs and quickly cost out a job to produce a bid based on estimated costs. Knowify’s bidding tools automatically output a bid form (and yes, custom templates are available) ready to submit to the GC. Click on Knowify’s Purchasing Module and create purchase orders for materials and send those POs directly to your vendor right through the system. Then schedule your crews in the resource scheduler. It’s easy! Knowify’s On-site Foreman Module tracks worker time – or, if you prefer, lets each worker Check in / Checkout on their mobile phone for fully automated timekeeping. Your office reviews time reports in real time — as they come in — so you can quickly process, approve, or reject as appropriate. 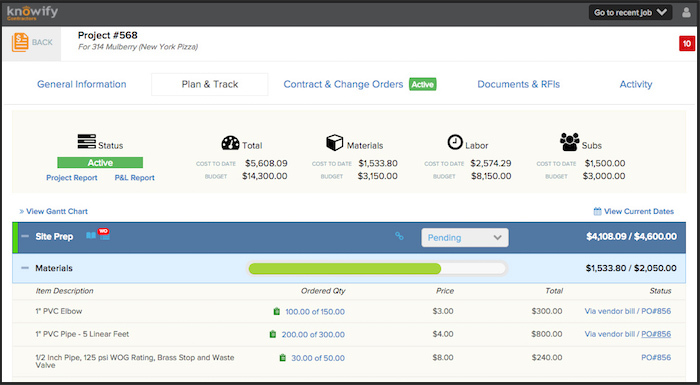 Knowify’s Project Plan Module automatically tracks each job’s progress against budgets as time and purchases come in. You get a real-time look at each project’s performance! Knowify makes it quick and easy to create a change order and then send it out for e-signature directly through the system. Whether you bill at the end of a project or choose progress billing, Knowify compiles the information and lets you submit using standard invoicing or AIA-style applications for payment. Or…you could keep running your business on Excel. It’s probably fair to say that happy days are here again for contractors. 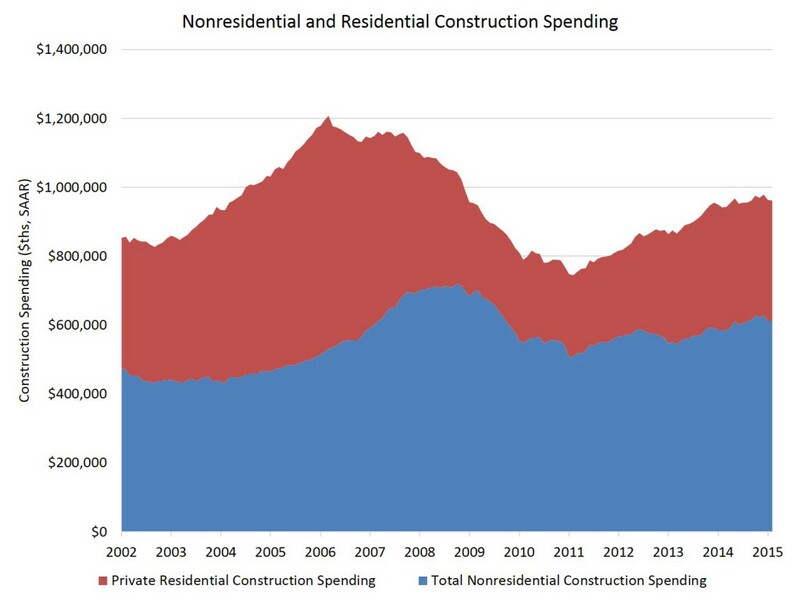 Total construction spending was up over 8% year-over-year as of May 2015, the more recent month for which data are available, with strong gains in both residential and non residential construction. We know from the many different types of contracting businesses we work with – from flooring and plumbing subs to homebuilders to handymen and more – that just about everyone is busy right now. And busy means less competitive bidding means profitable jobs. This is all well and good; and trust me: no one wants the construction industry to be strong more than we do. But here’s the funny paradox of bountiful times: most of the seeds for future trouble are being sewn now. When lots of money is being made, less attention is paid to process efficiency. Worse, no spare capacity and tight schedules can results in slips in quality, leading to trouble with partners and clients. We know that the idea of taking time to work on improving your processes now – when time is precious and more easily turned into profit – may sound crazy. But it’s a really powerful way to invest in the long term health of your business. Even with the present opportunity costs, we believe that implementing solutions that will make you a more efficient company will deliver a positive ROI, albeit smaller now than when construction work is less profitable; but the goodwill you earn from clients for, say, your professionalism with your paperless change order management and on-time billing, will bear big fruit in leaner times when bidding gets more competitive. More importantly, these same process improvements will allow you to run leaner, with vastly improved business intelligence, when the cycle turns and conditions aren’t as strong. It could mean the difference between making money and not making money, and over the long term having better processes will undoubtedly give you a leg up on your competitors, and enable you to grow your business with less administrative oversight or hassle. We acknowledge that the opportunity cost for focusing on the administrative side of your business right now is probably high. But process administrative and process improvements are critical investments that will bear tremendous long-term fruit for any business, and especially in businesses with the cyclical swings experienced by contractors.